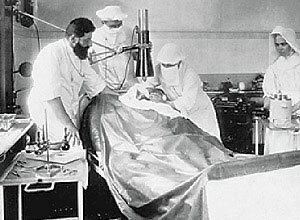 The first successful cornea transplantation was made by Austrian-born Dr. Eduard Konrad Zirm (1863-1944), the head physician of the Hospital of Olmutz on 7th December 1905. The patient was a 43-year-old man who received the corneas of an 11-year-old boy. Although there were complications with one of the corneas, the other one remained transparent for three years - until the death of the patient. The method was developed by another Austrian, Anton Elschnig (1863-1939) and his colleagues in Prague and by 1919 more than 100 operations had been done, 10% of which resulted in success. This method of curing eye diseases was implemented in the USA only from the 1930s. The first cornea bank however was established by Dr. Richard Townley Paton in New York on 15th December 1944, with the aim of supplying good quality corneas for operations. The first donors were executed inmates of the nearby Sing Sing prison - with the permission of the authorities. The increase of cornea banks led to the foundation of the Eye Bank Association of America (EBAA) in Chicago in 1961, as the first transplantation association of the country. Today there are 70 associated banks that have performed around 1,8 million cornea transplantations so far with a success rate greater than 95 percent. In our days, over 80,000 cornea transplantations are done in the United States a year, 1300 of which is still supplied with the first American eye bank corneas. 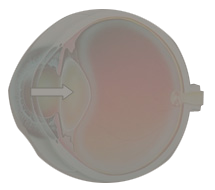 From the 1970’s more and more cornea banks have been established in Western-Europe as well. Nowadays their main task is the pre-operational examination and storage of cornea. The European Eye Bank Association (EEBA), founded in 1989, coordinates nearly 70 cornea banks in 24 countries. The number of tested corneas exceeded 1 million in the past 29 years, of which 600,000 were implanted. The member banks of the European Eye Bank Association prepare nearly 40,000 corneas a year in these days. Two-third of these are implanted. In accordance with the development of the operational methods, cornea banks are also engaged in storage of sclera, limbic stem cell and amniotic membrane. As a result there are approximately 130,000 cornea transplantations around the world annually, while there is a demand for 10 million according to estimations.